Yet at E3 this year, the company is brimming with confidence. Its strategy has paid off. 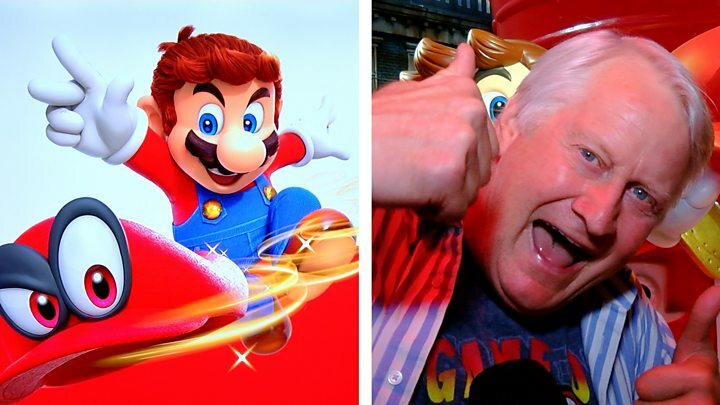 "It seems to have brought back Nintendo’s mojo,” says Tom Phillips, news editor at Eurogamer. The Switch got off to a blistering start when it came out in March. It sold almost three million units in the first month, making it the company’s fastest-selling console. The first big release - Legend of Zelda: Breath of the Wild - is now considered to be one of the best games created, with several million copies sold. And so it serves as a timely reminder that to judge games consoles on processing power, or true-to-life graphics capability, would be like reviewing a film based solely on the quality of its CGI. What Nintendo continually delivers is creativity other publishers can’t match. Make no mistake, the enduring appeal of titles like Mario (or Zelda) isn’t nostalgia, but reinvention. The Switch surpassed the company’s early expectations, so now the ambition is grander. The Wii sold more than 100 million units in its eight-year life. Can that be repeated? 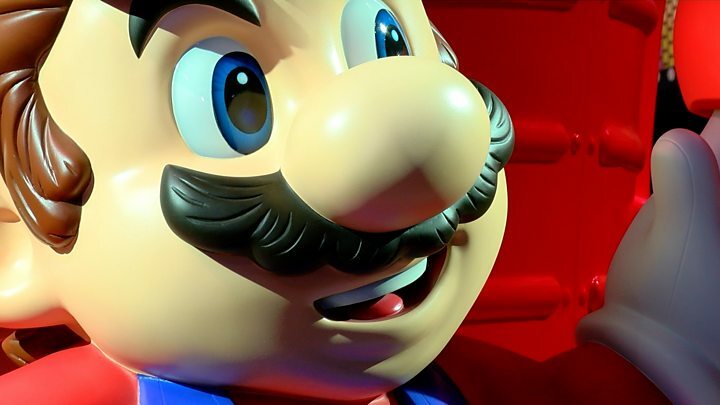 “I’m not going to lie to you, the Wii is something that we’re looking at,” said Nicolas Wegnez, general manager for Nintendo in the UK, told the BBC. To help in that aim, Nintendo will once again turn to its biggest star. Super Mario Odyssey - whose October release date was announced on Tuesday - includes the chubby plumber's first foray into the “real” world as he, in at least one level, spends some time in what resembles a real city, modelled on New York. You’re free to roam around and do tasks on your own - press on with the main story, or distract yourself with other missions. It’s just like Grand Theft Auto, but you’re helping people instead of shooting them in the face. There’s a new gameplay mechanic that makes use of the Switch’s dual-motion controllers; a flick of the wrists flings Mario’s new hat - called Cappy - in any given direction as a way of defeating enemies or interacting with objects. It’s impossible to get a real feel for the quality of a game in a noisy convention centre, so I’ll leave those more qualified than me to offer the true verdict of the game when it is released. Until then, Nintendo will release Arms - a fighting game that had people flailing their arms all around us here - and Splatoon 2, a competitive paintball shooter featuring squids, which Nintendo is positioning as its e-sports headliner. But Nintendo’s problem is one it has faced for over a decade now. Its console relies heavily on the games made by the geniuses within its own company. Third-party games, while growing in number, often feel like second-class citizens on Nintendo's platforms when compared to the treatment on the Xbox and PlayStation. As those consoles begin to offer full 4K visuals, that gap in quality will feel even wider. “The [4K] resolution is one thing which is part of the project but for us there is a lot of innovation when you think about it in Switch," said Mr Wegnez. "We’re going one way which is focused on new ways of playing, new gameplay experiences." The gameplay experience on the Switch is innovative, but it’s not the dramatic shift we saw when the Wii came out, where games went from being about pressing buttons in your bedroom to waving swords in the living room with your nan. That leap alone was enough to propel the Wii to incredible sales, but it’s unlikely the Switch can gather that much momentum with clever hardware alone - and without more third-party titles, there is arguably a ceiling to how successful the Switch can be. "We are not such a big company as our competitors,” acknowledged Mr Wegnez. "We need to do things differently. We really put a lot of love in our products."